Last month while gearing up for our latest pilot, the DP approached us with the idea of shooting 360-degree footage. When I think of 360-degree footage, my thoughts instantly go to “Virtual Reality” (VR), where a user puts on a headset and becomes completely immersed in a prerecorded world. I had never personally heard of a show shooting 360 that would be combined with regular footage and edited together for television. 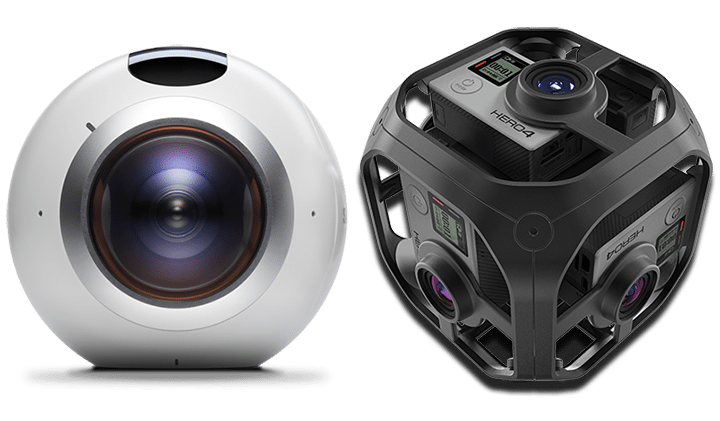 However, after some research, I’ve learned that VR is just one category when it comes to spherical video. The pilot we were working on had plans to approach this in a different way, still film with a 360 camera but rather than project the 360 stitched video across a sphere for a user to look around the room like you may for immersive 360 videos, we would leave it laid flat to allow for panning and scanning within the shot for editorial. When it came time to start testing for this 360 workflow, production decided on two different cameras. The first camera was the Samsung360, which shoots H.265, 3840×1920, 30fps. The camera records dual 180-degree images (vertically and horizontally) into one file. The second test was with the Omni GoPro rig, which holds 6 individual GoPros all programmed to the middle core to shoot at the same time in different directions. Each camera can shoot up to 2.7K @ 30fps or 25fps, H264 codec, with an mp4 file format. The two cameras had different workflows when it came to shooting, but in the end both needed to be “stitched” together and smoothed out into a full 16:9 frame in stitching software. The cons were pretty much the same for both, the biggest issue we realized was the more motion, the less precise the seams of the stitching would be, and the messier the video looked. The best results come from shooting stationary, and keeping action happening 15ft+ from the camera. On top of that, because the cameras shoot 360 degrees, anything on set will be in frame, including any camera operator. In theory, you could crop unnecessary elements out of the frame, but it will also limit your ability to pan. 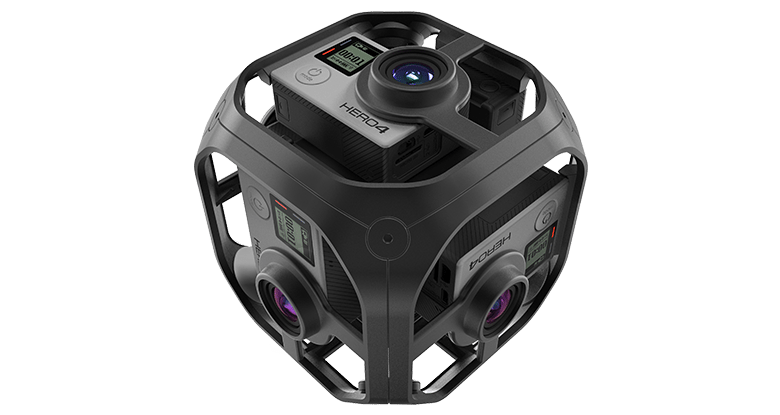 When it came time to start stitching, we discovered all 360 software was designed to create a full spherical video. In our case, that was not necessary since post’s idea was to crop the flat stitched footage and use it to pan around during the scene. After some discussion and recommendation from the editor, and our own research on the software, we came to the conclusion of testing three of them. Our first go was with Skybox, Mettle’s 360/VR tools plugin for Adobe Premiere. 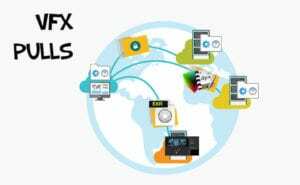 What makes the software popular is the fact that you can do all of your basic 360 stitching without having to leave Premiere to use After Effects. The effects from Skybox can be applied directly to your footage or to an adjustment layer. The software itself can be a bit time-intensive to work with and figure out, but contains four very helpful effects: Blur, Denoise, Sharpen, and Glow. The second test was with AutoPano Video Pro, GoPro’s own subdivision Kolor, which makes syncing/stitching software for the Omni rig. This software was very user-friendly, and makes stitching a lot quicker. By loading in the six video files all shot at the same time, you can either sync on a audio clap or motion of all the cameras. 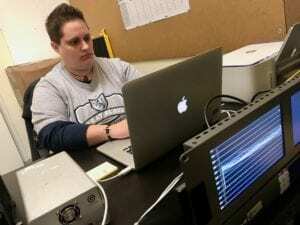 From there the software will tell you if it is able to sync everything and will create a basic stitch. The most useful tool we have found is the ability to easily adjust the center point of the 360 shot. This gives you a clear way to guide your audience’s attention. There are also several different render settings, including the option to render out your original 30fps video into 23.98. The last software we looked into was AutoPano Giga, an extension software to AutoPano Video; it lets you take a still from your 360 video and work a lot closer on editing the seams between the cameras. AutoPano Giga also includes the creation of stitching templates and a very precise masking tool. Unfortunately, Giga was not helpful for our workflow since it was intended for 360 images and stationary video. After two test days, production finally decided to shoot with the Omni GoPro rig, and stitch with AutoPano Video Pro. The day of the 360 shoot the camera recorded in 30fps, so after the stitching we ran the clips through compressor to get to 23.98. All the 360 footage for the pilot ended up looking excellent, and post was very pleased. The whole experience of figuring out this new workflow was very interesting; I’m looking forward to working on more projects like this one. It’s really exciting to think about the future of 360 cameras and the film/television industry; I also hope to eventually explore more into the VR world as well. VFX Pulls – Who Should Do Them?